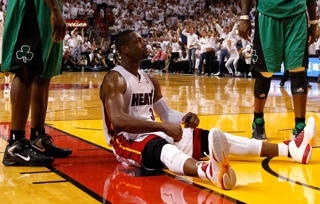 The Miami Heat outlasted the Boston Celtics 115-111 in an overtime thriller to take a 2-0 series lead. 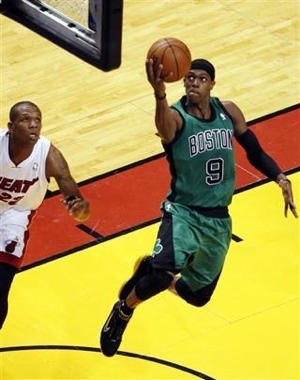 The Miami Heat overcame a 15-point deficit to win the game. LeBron James was the high point man for the Heat with 34 points, 18 of which came from the free throw line. James went to the line 24 times while Boston as a team went to the line 29 times. Dwyane Wade did what James couldn’t do in regulation and closed out the game in overtime. 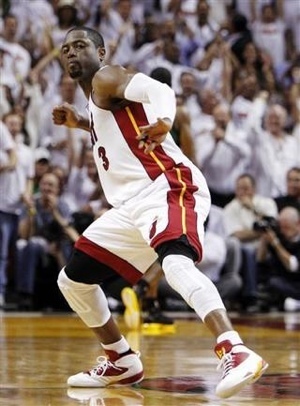 Wade finished with 23 points. play seemed to be the turning point in the overtime. The Celtics will look to get back into this series in Boston for games 3 and 4.